Reality shows have been a staple on television for quite some time now. But horror-themed reality shows are few and far between. A while back we had Jen and Sylvia Soska’s Hellevator, an escape room type competition that unfortunately got canceled after 2 seasons. In 2017 Bruce Campbell (Ash vs. Evil Dead) tried unsuccessfully to launch a haunted house competition show that sounded amazing. I really wanted to be a part of that one and was bummed to hear from Bruce himself that it was never to be. So, genre filmmakers rejoice- a new reality competition is on the horror horizon! 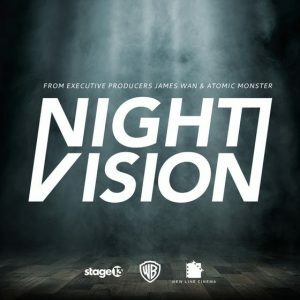 From the press release: Stage 13, the award-winning original premium digital content brand of Warner Bros. Digital Networks, and pioneering film studio New Line Cinema announced a one-of-a-kind, competition horror reality series called Night Vision. 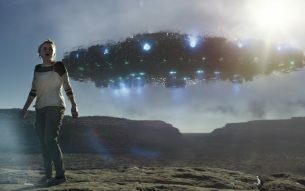 The 13-episode series will be executive produced by filmmaker James Wan and his production company Atomic Monster and produced by award-winning production company Magical Elves. The 2019 series will open a general call for entries later this year; click here for more information. In this distinctive competition reality series, 13 filmmakers will be chosen by a panel of the leading horror directors, producers, writers, and executives, and presented with the challenge of creating the best, scariest short films possible. If you are a horror filmmaker who just needs a chance to break into the business- this might be the chance you’ve been waiting for! I can’t wait to see all the great films that are going to come from this! Good Luck! !